Mark welcomes Thomas D’Agostino to the show. Thomas D’Agostino is an educator and author of twelve published books on ghosts and legends of New England. He has been a paranormal researcher/investigator for 36 years with over 1200 investigations to his credit in both the public and private sector. 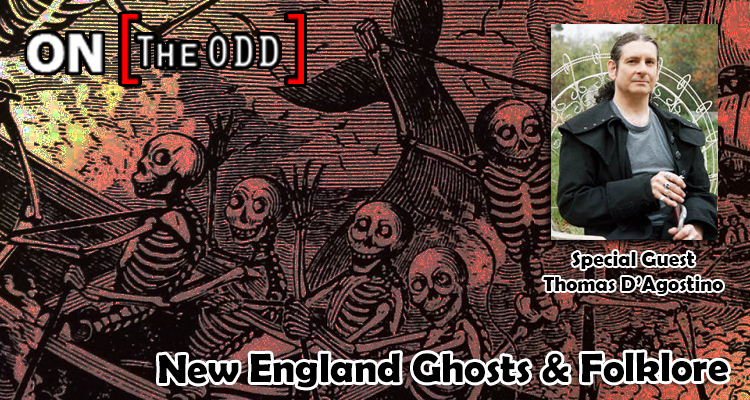 Thomas is an experienced public speaker with a passion for sharing my experiences and research of the legends, ghosts and folklore of New England. His books have prompted several PBS series, documentaries and television shows in which he has appeared.